When a person completes treatment for drug or alcohol abuse, returning to a normal home environment can be overwhelming. Often going home means dealing with unhealthy relationships or the possibility of coming in contact with people associated with the addiction. For many, the answer may be a sober living home. Sober living homes are transitional residences that provide the support a person needs while learning to live in recovery. Sober living homes provide a clean and safe place to live for those needing additional time to adjust to their new normal. 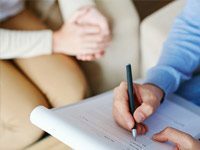 The rules and regulations associated with sober living homes and facilities are often a deterring factor to those who need extended care after drug and alcohol addiction treatment. Fearing they will be unreasonably limited in what they can do and when, many who would thrive at a sober living home opt instead to return home too soon. Without the support of a clean and sober living environment, many who do well in drug and alcohol rehab find it difficult to remain clean and sober on their own. Understanding the rules and why they exist can help you or a loved one make an informed choice when the end of rehab is in sight. The most basic rules and regulations associated with sober living are similar to what one would expect in any roommate situation. Keeping common areas clean is standard, and taking on certain chores around the house, like trash duty and making dinner, and doing them regularly is expected. Some houses do group dinners and all are expected to assist in the preparation and cleanup. Each week there are house meetings that you or your loved one must attend. These sober living rules and regulations ensure every resident enjoys a peaceful and respectful living environment. There are a number of rules that apply to personal responsibility at sober living homes. At sober living facilities, it is usually expected that you come home by a certain time each night and get out of bed by a certain time each morning. If you are leaving the house, you generally need to sign in and out and let people know where you are going. During the first month or so at your sober living home, you may be expected to bring a sober companion with you when you leave the house to help you stay accountable for your actions. Later, you may be asked to call and check in if you will be gone for hours at a time. All of these rules are meant to help you or your loved one rebuild a sense of pride and personal responsibility that was lost during your struggle with addiction. Most sober living facilities have a set of expectations in place with a single goal in mind: helping you to build a strong foundation to sustain you in recovery. You may be required to get a job, attend 12-Step meetings in the community, volunteer your services or attend an educational program to train you for career placement. Those who wish to remain in the area may be expected look for and secure a new home for yourself toward the end of your time in the sober living home. All of these sober living rules and regulations provide the support you need to stay in recovery through the stressful process of finding employment and setting out on your own. Michael’s House offers rehab facilities in Palm Springs, California, for those who are ready to make a fresh start after alcohol and drug addiction treatment. Our admissions coordinators are available 24 hours a day to answer your questions about sober living homes or other available treatment options. Call us now. 1 Baylor, Channel. “Treatments for Substance Use Disorders.” Substance Abuse and Mental Health Services Administration, 9 Aug. 2016. Accessed, 26 Oct. 2017. 2 “Where do 12-Step or self-Help programs fit into drug addiction treatment?” National Institute on Drug Abuse, NIDA. Accessed 26 Oct. 2017.